This entry was posted in Religious and tagged chopping Cotton, Ephesians 5:15-16, Mary and Martha, Parable of the Sower, Ridgetop Reflections, sanctification, spiritual growth, time bandits by jwells1030. Bookmark the permalink. I enjoyed this so much. You have such a gift. Such a good lesson for all of us! Thanks, Sis. I appreciate your comments so much. Walter would have loved this article. He talked to me often about chopping cotton and was glad to leave the fields later when he went to college. He never returned to farming. I share Walter’s feelings about farming. While those experiences helped mold me into the person I am today, I had no desire to carry on my father’s business. I enjoyed this so much. Thanks for continuing to share your spiritual reflections. Looking back at life on the farm makes it very special. Thanks, Carol. It’s been enjoyable to linger in some of those memories, reflect on how simpler life seemed back then, and see how some of those timeless lessons still impact me today. Really good thoughts, Julian. 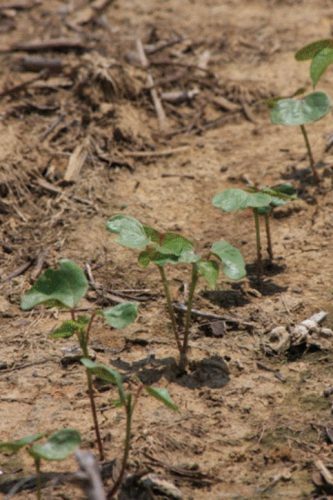 Although I never worked a cotton field (in Kentucky it was tobacco), one of my hobbies is gardening so I found the short lesson on cotton growing really interesting. I could especiay relate to the ‘weeds’ of smart phones, social media, etc zapping much of my time which should be much better spent. Thanks! Thanks for the feedback, Ed. My wife also worked in tobacco fields here in North Carolina in her youth. 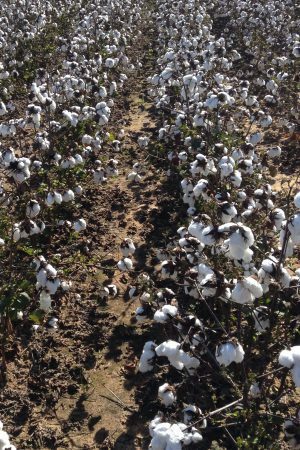 Much of who I am today was shaped by those cotton field experiences. What an outstanding column! As usual. Thanks so much. This was a wonderful lesson. I sometimes get so busy that I haven’t taken the time to praise God and spend time with Him. Thanks for the reminders that not spending the time with God, does allow weeds and thorns into my life. Love your Blog! Thanks for the comments, Gloria. Thank you for posting this again. The Lord has shined a light through you that has enlightened me in an area that I have been battling for a while. The “weed” has been affecting my “cotton” growth and it is a great help to have a brother in Christ reopen my eyes and make me aware that satan is in the background always trying to manipulate us. God Bless YOU ! Thanks, Tucker. It’s always a blessing to receive this kind of feedback.